Taking Alan Watts’ advice that occasionally we should shut up and just listen I took myself for a walk in the Jura mountains. Such walks combine stunning scenery, physical exhaustion and mental quietude. Perfect for the overheated mind. I’m fortunate in that the mountain is just outside my garden gate but most of the time I drive up the mountain roads to a higher starting point. The beauty is different higher up, more rugged, more exposed to the elements. I love walking in or above clouds. The Jura mountains form a natural border between France and Switzerland. Today I took the Swiss side. The mountains are the same but the roads are more manicured, the chalets are cuter and the coffee is Italian. It is a matter of mood. The French roads are more adventurous with rock falls, mad drivers and farms that are partly ruined and blend back into the rocks where they came from. The coffee in France is awful. My theory is that the French have colonial dues to pay to some African coffee plantation and whoever roasts the beans, burns them into a bitter ache inducing liquid. It’s matter of mood: a walk in the park versus a walk in the wild. Today is a park day. The route I am taking starts at a farm, winds through a low meadow and then climbs steeply along a narrow rocky trail. The trail cuts through a forest where a stream wets the path and makes it slippery and dangerous. That’s fine going up, when we’re in full control of our step, weight and balance, but going down is often a controlled tumble. Now the path is crossed by a cattle fence and opens up onto a rocky meadow. The are several plateaus like this and each time I need to climb a steep hillside. Cows are grazing here and they pay little attention to me. In late autumn the cows are taken down from the mountain during the “désalpe” which is a big thing in the mountain villages. Cows get dressed up with flowery crowns and the farmers put on their best suits and dresses. Once the cows are down, the village turns their attention to local white wine and a potato/cheese/bacon/wine dish called tartiflette. It’s very lively. The alp horns come out, as do the yodelers. Its very Swiss and a lot of fun. As the cows and holiday makers leave, the meadows get taken over by their native mountain goats and deer. I love that time. Halfway up the meadow I bent down to take a photo of a flower. I can’t get the angle, so I lie down. As I fiddle with my iPhone (and wish I brought my Nikon!) I notice how many different flowers there are here. Hundreds of species in every square meter. Looking past the obvious meadow flowers, I see miniature plants with tiny leaves and flowers. It is astonishing. A small spindly legged spider strides over a rock and I wonder about her perspective. To her, these flowers are as big as trees. Some could be lamp posts. As she goes about her business, she traverses a jungle of grass, plants and rocks. 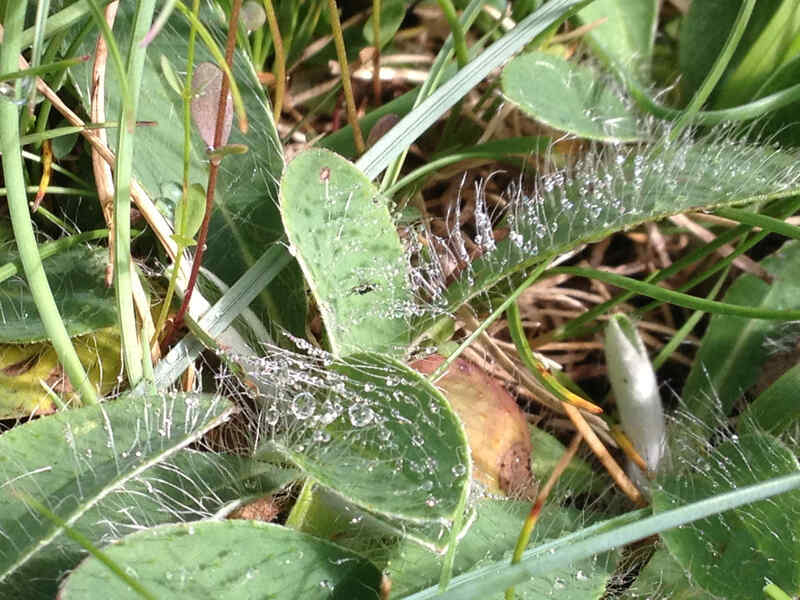 She passes a small clover leaf that is covered in dew droplets. They look like tiny diamonds to me, but to Incy, they are massive blobs of water, sitting atop those hairy clover leaves. Hairy? Yes, very hairy. Have a look tomorrow morning when the dew is still there. I only just noticed her home. A hand sized net spans a small hole where once a rock nestled. Her web is also laden with water droplets and unless there is a fly looking to take a bath, Incy won’t be catching anything before midday. So she goes walking like the girl from Ipanema. The meadow hides many surprises. 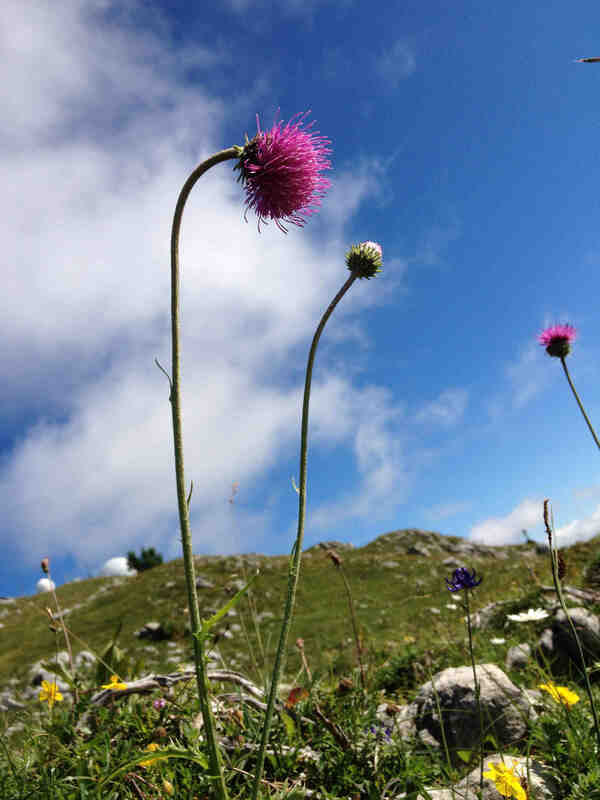 A few years ago I was hiking in a similar but much larger meadow when I stumbled upon a large and strange flower. It was a large as a fist and stuck out of the meadow on a long sturdy stem. It’s petals were rubbery and dark purple, black almost and to my utter amazement, I was staring at a huge wild orchid. I knew that there are some 25 species of wild orchid here but they are somewhat rare. To find one as big as that, almost made me religious. Where am I? Crawling under the spider’s web, I push aside a dandelion leaf. Getting lost in the mountains is both a good and a bad idea. On the whole, I like getting lost. Anywhere, anytime. It’s the only way to discover something new. Losing yourself in the mountains carries some risk. You may find yourself following ridge, only to find it joins another ridge and all you can do is double back. All the way back up or down. When you’re on a 10 hour hike, that may be a problem. I’m not part of a regular hiking crowd but I know these mountains reasonably well and on the whole I can tell where I am and what hides behind the next hill. But mountains have a will of their own and true locals, in particular in the steep alps have tremendous respect for their mountain. They know all to well that a mountain gives and a mountain takes. 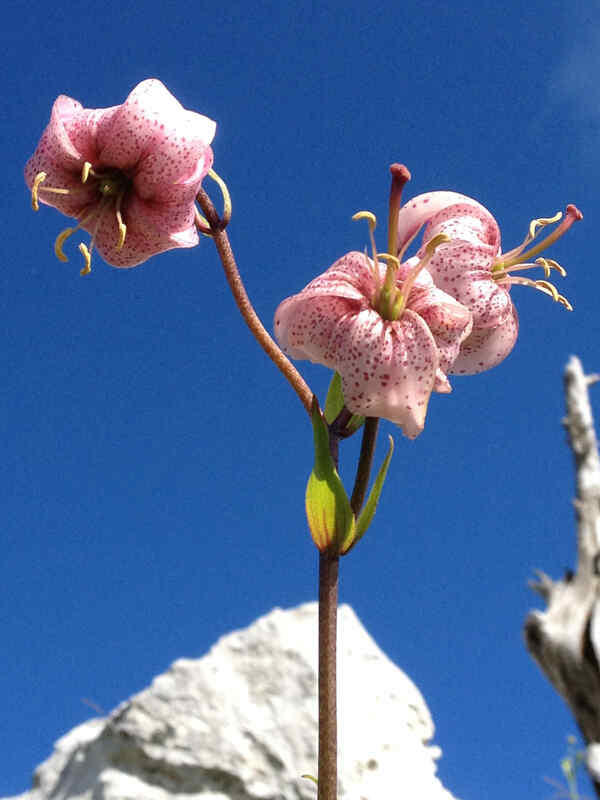 On the same hike when I found that magical orchid, I had tried a new route towards the top. It crossed steep meadows and passed under and over rock faces. France was on one side, Switzerland on the other. I knew where I was. As I rambled further, the weather began to change. A few clouds at first but very quickly massive clouds moved in like an armada of war ships. I got a little worried. The clouds came in from different directions and as I followed the rock face, crossed another alpine meadow, I realised that I had no idea in which direction I was walking. When you are lower down, you can tell from the slope where you are. But higher up there are mountains on top of mountains and slope is no indicator anymore. The clouds turned black. I had never been in a thunderstorm on top of a mountain but I have seen them from below. Sometimes the mountain ridge is a never ending lightening sponge and gets struck incessantly. I didn’t want to see this from nearby. I found a trail on the far side of the rocky ledge and started walking down. Desperately hoping it would lead to shelter. The rain started and visibility reduced to a few meters. The path became a mudslide and I sidestepped onto the heavy wet grass. And then suddenly the trail stopped. I stood at the edge of a precipice backing away from a 300 meter drop. As I clambered back up the path, I began to get desperate. Where to turn once I got back to the rock face? Should I hunker down against the rock and wait for the storm to pass? What if the rain turned to hail? What about lightening? 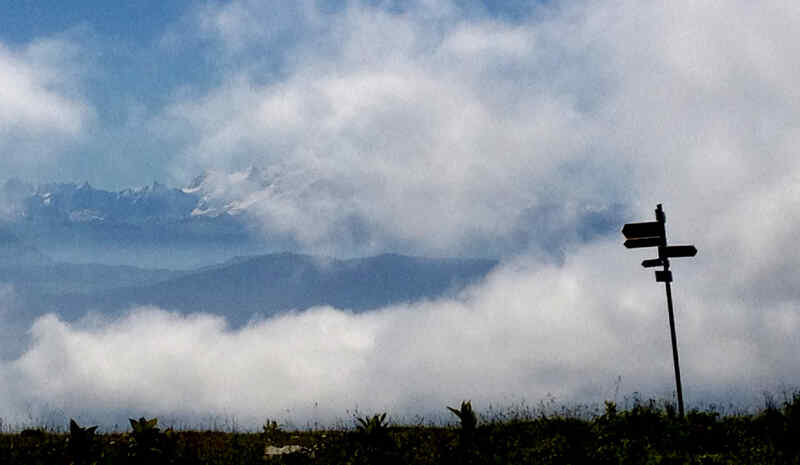 Then, just before conversion, a hole appeared in a cloud and for a few seconds I caught sight of the valley. My internal compass re-aligned and I knew exactly where to walk. As I descended and put distance behind myself and the bad weather, I regained my internal balance. I made my way down and regained my car. Not so boring for me. But for plot purposes it would have been better if I had fallen down, broken a leg and had to gnaw off my arm to survive whilst helicopters braved the apocalyptic storm. [note to self: make it up next time]. But getting lost in a meadow, stuck in the grass with only the huge daisies as beacons? Incy wasn’t lost. This was her world and I snapped out of it. The meadows are alive with colour. 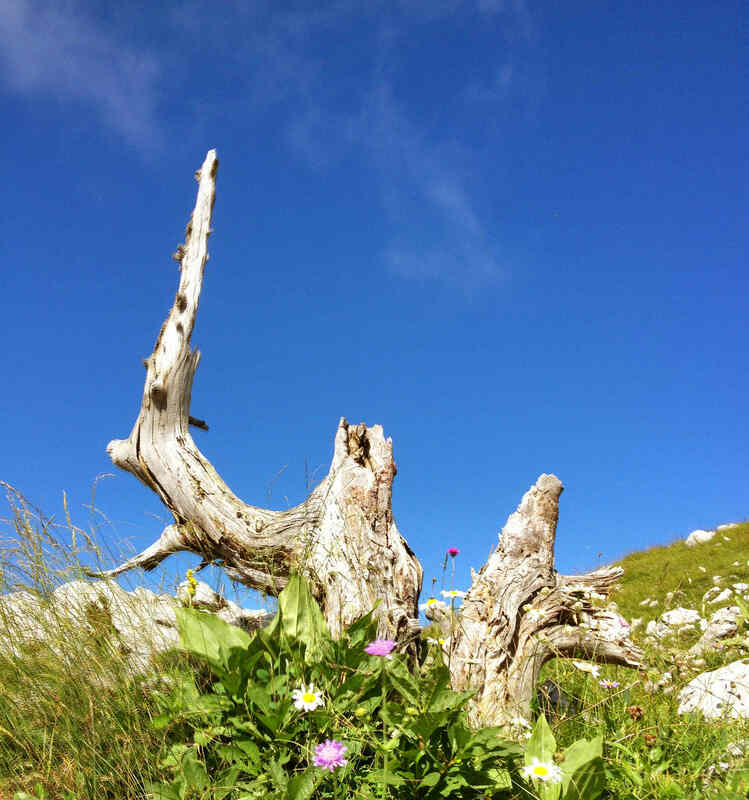 The vistas are picture postcard “greetings from the Jura. Hope you are well”. I can see the Mont Blanc, 100 kms from here. I can see Lake Geneva and if I try hard, I can probably see my house. If only I could get lost. ← Fractal reality, what else! How lovely! I’m not over fond of spiders, but after reading this I may change my mind! No need to invent next time…this story had me stomach churning with anxiety…well maybe i exaggerate a tad, but knowing mountains I could appreciate the danger you were in! Thanks for the fantastic read! Thanks Bastet! This was a lovely little spider, you would have been okay :). I like to share interesting things, it was my pleasure. Like true adventure…don’t let the title fool you…not lost in the hills, but in the Alps…have a read…you’ll love it! Thanks Shehreyar – delighted to see you here! Tu ne me vas pas a me croire, mais il y a un an que j’ai pris une foto da la meme fleur en Autriche :D. Maintenant a lire …..
What an enjoyable read and the information that I find most useful if I am ever to go back to Jura 🙂 Now, I crave to taste “tartiflette”. The highlight of your article for me is the mentiion of bitter ache-inducing liquid of revenge :D. Merci bien Henk. What is your mother tongue? You should find tartiflette anywhere in the alps :). I’m dutch mother tongue but after 30 years away from Holland, my dutch has most of its shine. Where are you from Paula? That flower is one of my favourites. It grows abundantly and when you get close up, it is mesmerizing. Thanks for the read and the comments! You are most welcome :). Your languages are superb (I am a translator and these things matter to me :D). I am going to ruin the surprise but I am about to post something for CBBH challenge and you will be one of the two featured bloggers, just wait for an hour or so 😀 A bientot, j’espere. I love language(s) now, though I didn’t when I was chosing my career. Having lived in many countries, I learned how language is the bridge to all people. Many thanks for your reference to GF!!! I studied electronics/IT engineering and then joined CERN (nuclear research). After 10 years I left to join the private sector and got into business and then executive leadership. Currently I’m a freelance consultant doing jobs here and there and hope to find a happy mix between technology/business and leadership :). Oz stands for Australia? And L for Laos? That was a great read, Genetic Fractals! I’m directionally challenged, so I have lots of experience getting lost. Like you describe, it’s all a matter of perspective. Brilliant post! I love the purple flower… The colours and shape. What is it? 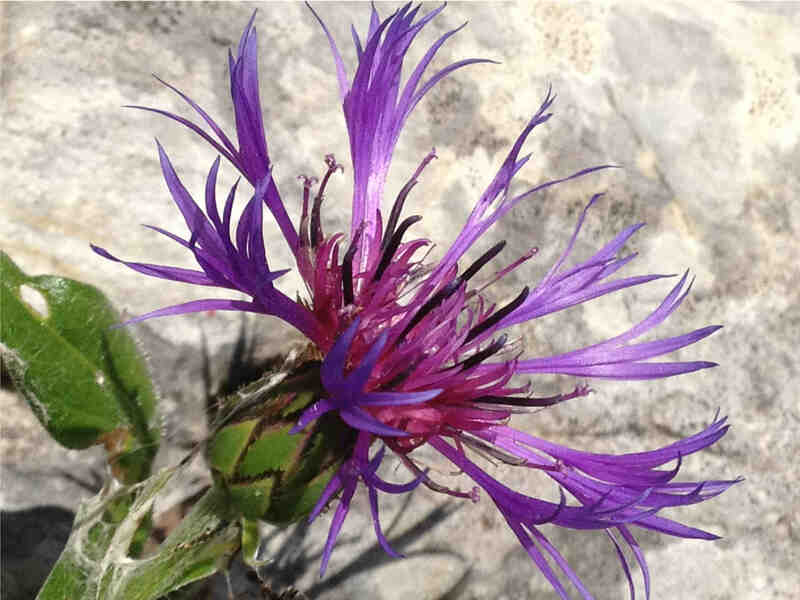 It is a Mountain Bluet or Centaurea Montana. A stunning flower, as you can see. I’ll be dropping by at CTB more often – like it a lot!